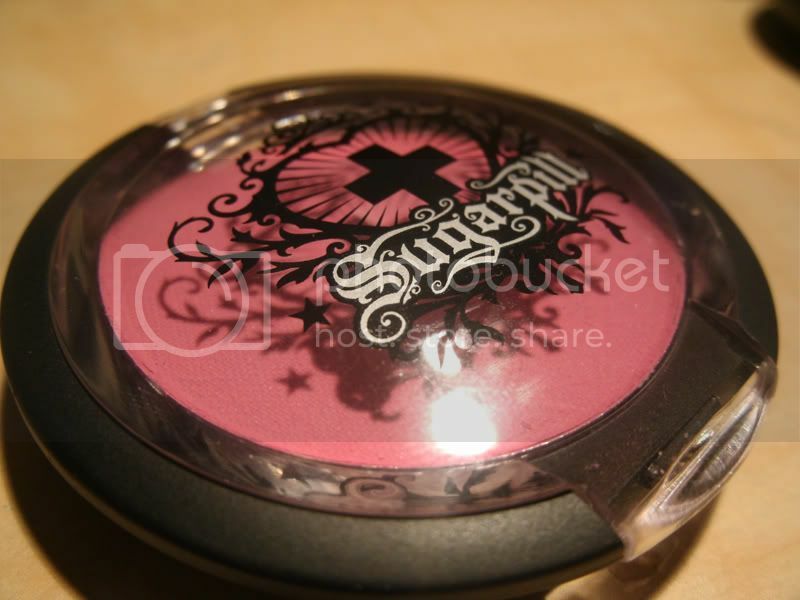 Dollipop is a vibrant, matte hot pink by Sugarpill Cosmetics from the Addicted to Pretty Collection. Personally, I love this colour. I received it as a gift (awesome gift, much? 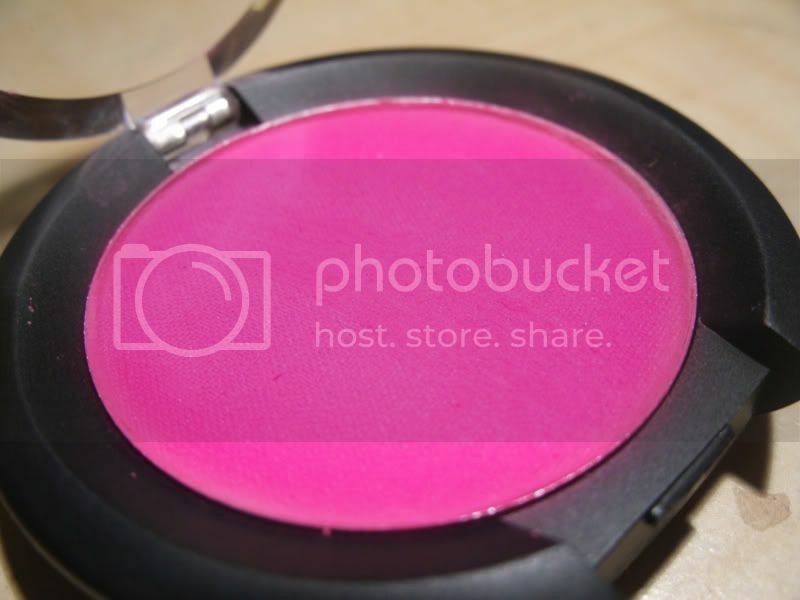 ), and this is probably the best pink I've ever owned. It's easy to blend and it applies gorgeously. 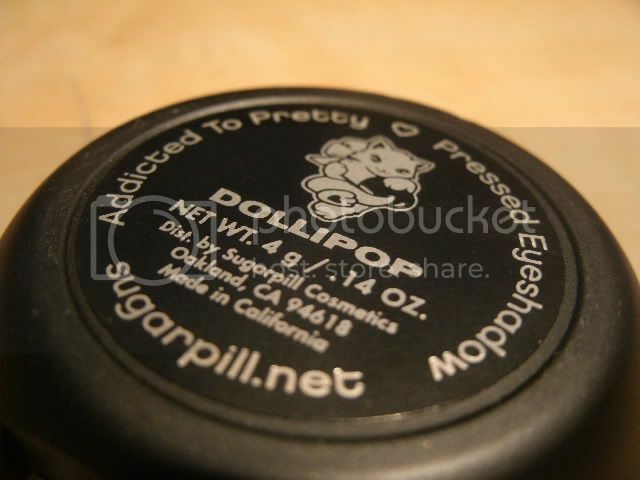 Available online at SugarpillShop.com for $12 CA. 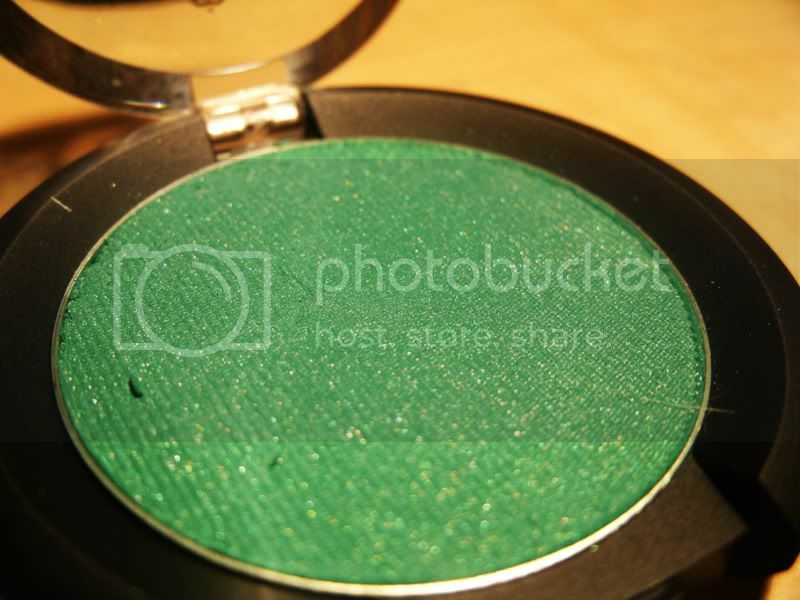 Midori is a vibrant medium-green with a pearl sheen. I can honestly say I have never seen a shade like it. 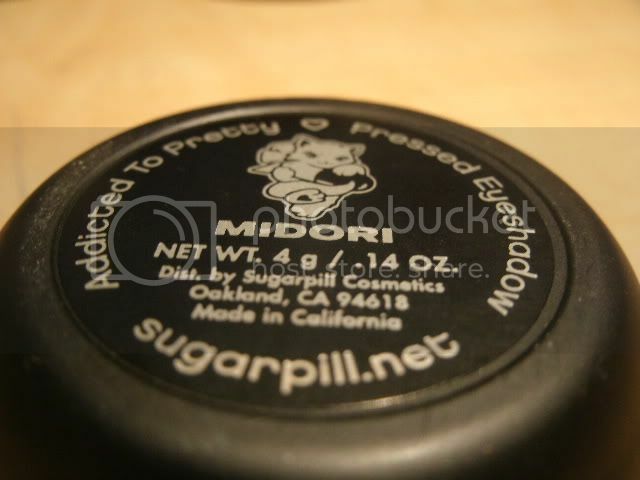 I love it, it applies and blends easily. Another thing that I like about this colour is that you can wear it without it looking too dramatic. 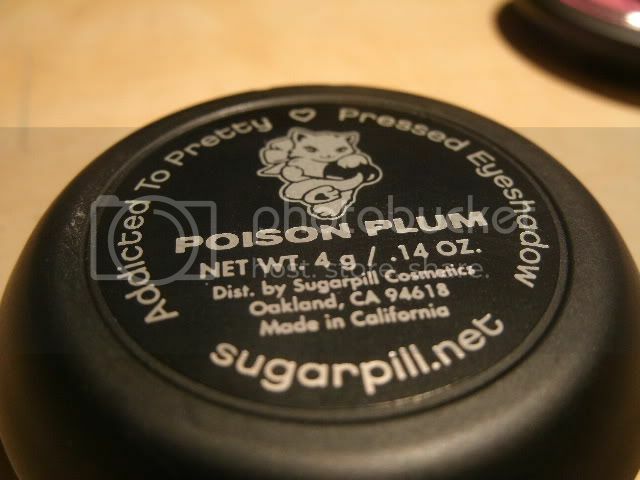 Poison Plum is a vibrant, medium-dark, very intense purple. 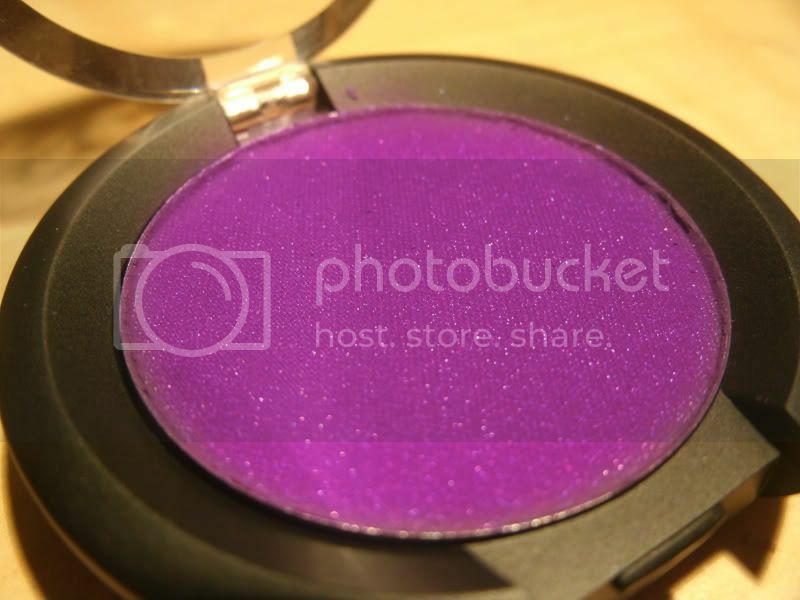 This eyeshadow is by far the best purple out there. 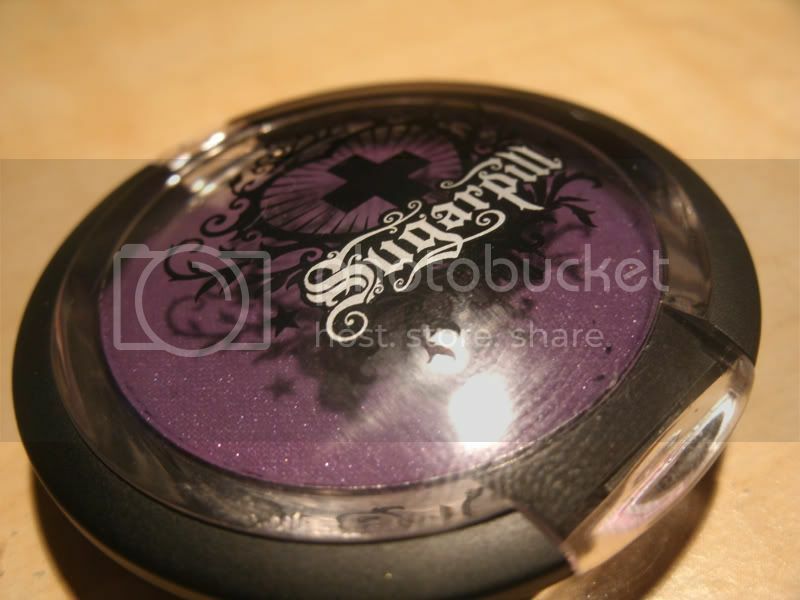 The pigmentation is amazing, and of course it applies & blends easily. 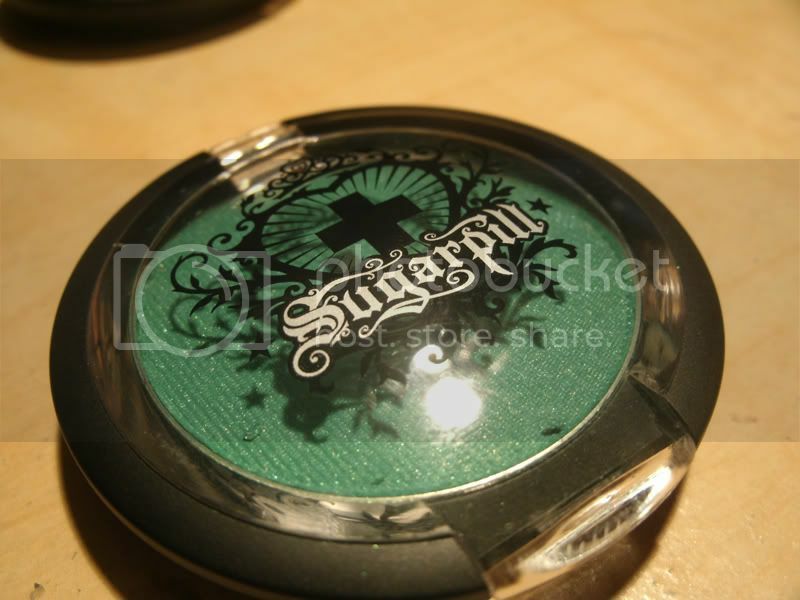 Sugarpill is defintely a brand to go to for extreme colours. Do you know if they are sold at any stores?